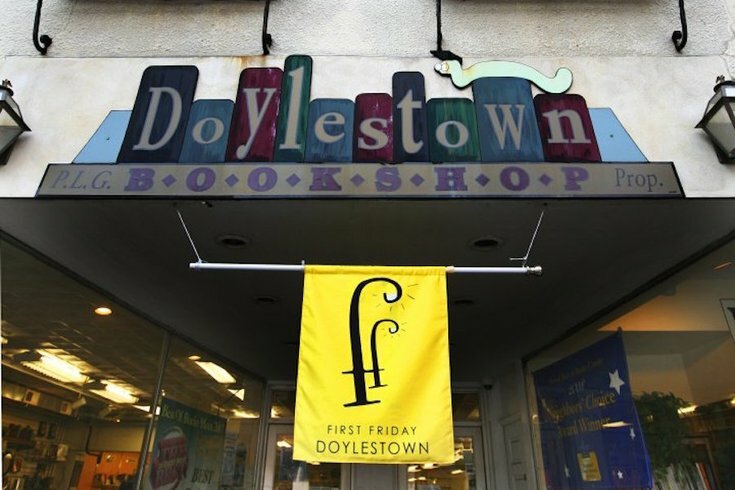 The largest independent bookstore in Bucks County, the Doylestown Bookshop. On May 4, 2014, a collective of independent booksellers began California Bookstore Day as a way to celebrate their love of books. Over 90 bookstores participated in a day much like Record Store Day; special editions were printed, limited-edition book-themed art pieces were made, big authors got involved and each store held a party. In its second year, CBD has turned into a national event called Independent Bookstore Day -- Saturday, May 2. The list of participants has grown to 400 stores and 16 exclusive creations will be for sale in limited quantities at select locations. From a chapbook signed by essayist Roxane Gay to a broadside written by Stephen King, the literary goodies are sure to sell out where available. Author Daniel Torday will sign his novel "The Last Flight of Poxl West" at 11 a.m. They'll host a "Blind Date With a Book" giveaway. Author Polly Kanevsky and her book "Here is the Baby" will appear for a special storytime. They'll host free events from 11 a.m. to 5 p.m., including refreshments, crafts and workshops. Can't head out to the suburbs? There are plenty of independent booksellers in Philadelphia. They won't be officially participating in IBD, but that doesn't mean they can't use your support! Shop away at the stores below.